Almond flour is a gluten-free, low carb and healthy flour. It is weight-loss friendly, a popular ingredient in Keto and Paleo diets and perfect for preparing healthy recipes. 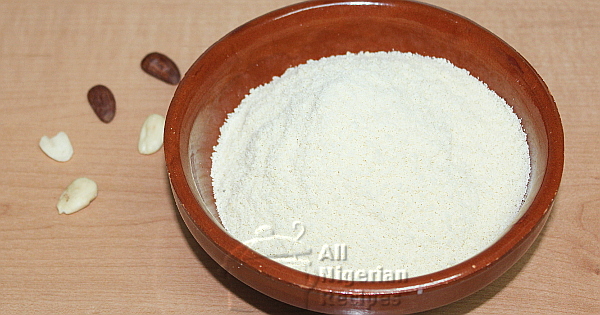 It can be integrated into Nigerian recipes or used as alternative ingredients in some recipes with delicious results. 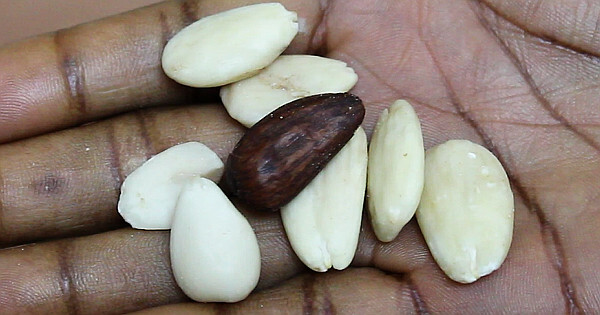 In Nigeria, you can buy almonds from Shoprite, SPAR and all those big supermarkets. Outside Nigeria, it is available in any major grocery store or supermarket. Crush the almonds with a crucible or mortar. This is to help the grinder do a better job of grinding them. Grind a small batch at a time in a dry mill or spice grinder. Pour into a sieve with a wire mesh and shake it to sieve. When done, pour the ones that did not grind very well back into the grinder, pour more crushed almonds and grind. Sieve then repeat the process till all the almonds are ground. Store in an airtight container and keep in a cool dry place. Watch the video below to see me demonstrate how to do it. Use almond flour as a healthy replacement for all purpose flour.